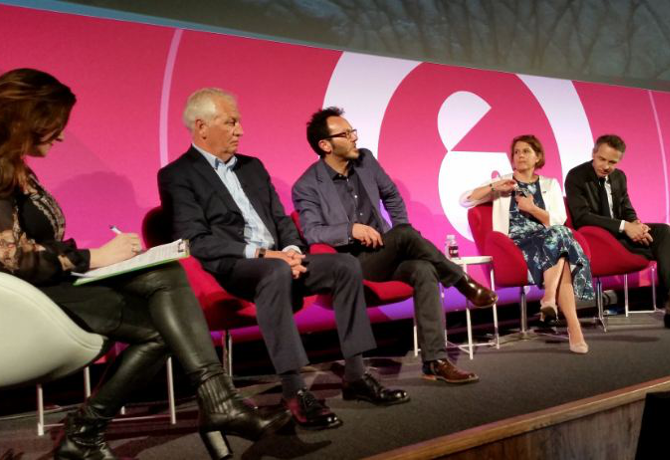 Representatives of The Marketing Society sat down to face their elephants in the room on the third day of Ad Week Europe. BT chief brand and marketing officer Zaid Al-Qassab discussed the capability gab and the importance of dropping the word ‘digital’ as it no longer holds meaning, while Vivendi chief marketing officer Lucien Boyer reminded that “clients are not data”, and discussed the importance of emotional content and reintegration. “Sometimes, we forget that the message has to be received, not just sent,” he added. IBM UK and Ireland chief marketing officer Lisa Gilbert said the elephant in her room was straight talking, because it could be considered rude but with time a non-replenishable, finite resource, talking directly requires courage but is “absolutely essential”. RBS chief marketing officer David Wheldon discussed the timely issue of transparency, commenting that his line of work is held to account: “We would love to see other bits of the ecosystem held to account in the same way”. Executive creative director and author Dave Trott discussed how advertising had become about keeping the client, not the consumer, happy. “Clients call this collaboration, well it isn’t collaboration, its obsequiousness,” he said, comparing the situation to a patient being diagnosed as having a broken leg but wanting to be diagnosed with a headache instead. Trott said that senior clients are able to have much faster conversations: “what am I paying for this, what am I getting, why will it work?” He disagreed with juniors whittling down the first round of pitches as they tend to stick to safe stuff, advocating senior clients with entrepreneurial thinking taking the front end as opposed to the back. Trott concluded by stating the people must remember advertising isn’t marketing and great clients get great advertising.